Not the literal meal, that would be good, I enjoyed the food yesterday and I’m thinking it will be nice (after all the preparations yesterday) not having to cook dinner tonight. So, nope it wasn’t the dinner plans but the words that made me pause. Exhaustion… sugar high/crash… finding remnants of broken Easter eggs for months… Some days after Easter that’s what we awake to find. Is that all that we have left? And I know: the celebration of Easter happens on one calendar day out of the 365 days in a year but because of Easter all our days can be different. 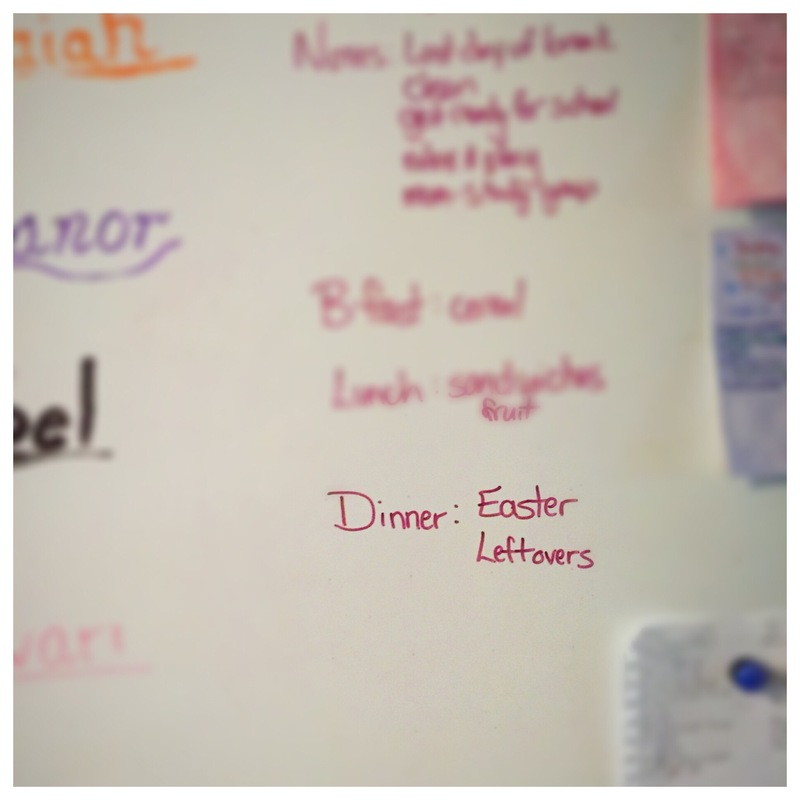 We don’t live on Easter leftovers. We live Easter, Resurrection Day. We live the hope, the promise that Christ’s resurrection brings. And yes, it isn’t all “pretty” because Easter morning was preceeded by all that transpired during Holy Week. It isn’t all “clear” because as we keep reading the gospels, following Christ’s resurrection there were still moments of confusion. It isn’t all “easy,” the book of Acts makes that apparent. But life was forever changed on that resurrection morning.